THE PLAYERS Championship, also known as the unofficial “fifth major,” is in full swing in Ponte Vedra (March 12-17). Golf enthusiasts and amateur spectators alike will turn out to see the world's top golfers like 2018 PLAYERS winner Webb Simpson compete with other hot shots including 2018 Master's winner Patrick Reid. 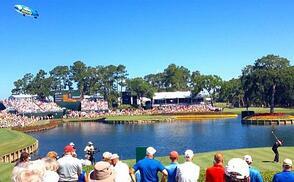 The action takes place on the breathtaking TPC Sawgrass Stadium Course, located practically in Nocatee's backyard. 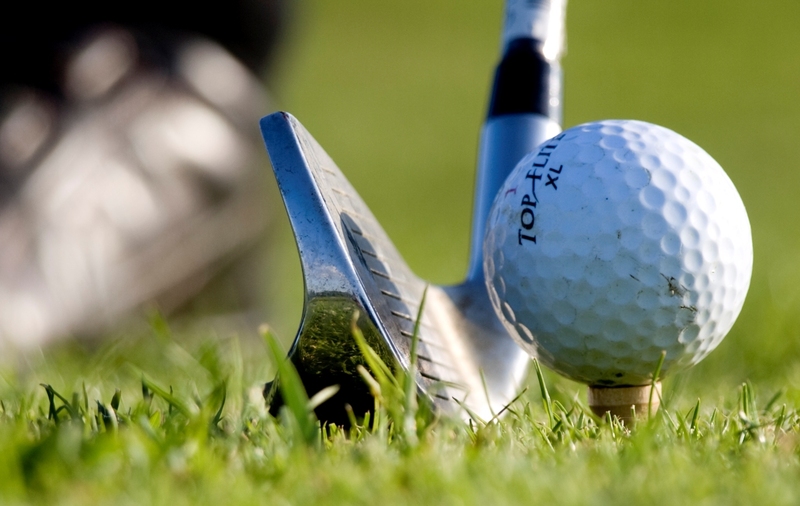 As a matter of fact, golf enthusiasts consider Ponte Vedra, to be a golfer’s paradise with many world-class courses. Drive Yourself: Parking at THE PLAYERS is free for spectators on practice round days off Country Road 210 (Tuesday and Wednesday). For Thursday – Sunday, parking passes are required and must be purchased in advance. Attendees with four or more guests (#FourForFree) in a vehicle can park for free Thursday – Sunday with a downloadable voucher, which allows for general parking off CR-210. Be sure to download and print parking passes in advance. Uber: Streamline your travel time and forgo parking by taking an Uber or taxi service to THE PLAYERS. For details on ride-sharing pick-up and drop-off locations, click here. Take the Shuttle: Shuttles will be available for attendees from downtown–area hotels to TPC Sawgrass. Omni Jacksonville, Hyatt Regency Jacksonville Riverfront, Lexington Hotel, and DoubleTree Riverfront will offer shuttle passes for $10 at the front desk for an easy and cost-efficient way to get to and from the tournament. You can view the shuttle schedule here. Avoid Traffic: If you’re transporting yourself, evade traffic and elect to take the recommended CR-210/Nocatee Parkway route rather than A1A. Spectators should also plan to arrive before noon or after 2p.m. to avoid peak traffic times. Bike and Golf Cart Parking: Complimentary bike parking and golf cart parking will be offered from Tuesday to Sunday in Gate B located inside the TPC Sawgrass Gates off of PGA Tour Blvd in the back of lot 5; volunteers will secure and monitor bikes and golf carts free of charge. No matter who you’re rooting for, everyone can agree that THE PLAYERS provides some of the finest and most unique food vendors for a sporting event. This year, several popular restaurants such as Cousins Maine Lobster and Hawkers Asian Street Fare will be serving up delicious fare to hungry spectators. Come hungry and explore all the dining options THE PLAYERS has to offer. 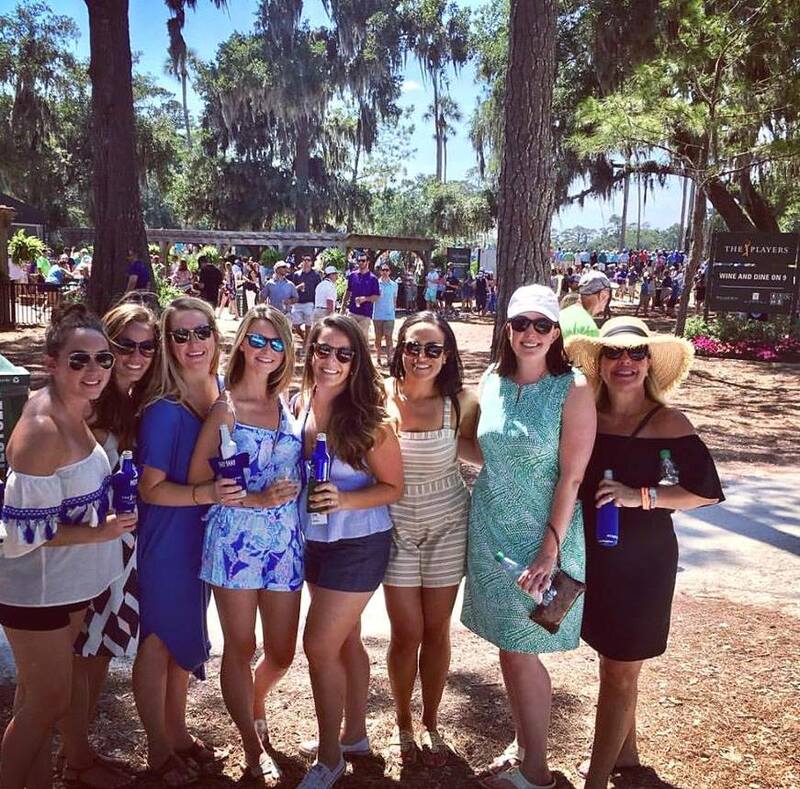 Taste of Jax offers a melting pot of Jacksonville restaurants, such as Mojo Kitchen, Brucci's Pizza, Cousins Maine Lobster, Zoe's Kitchen and more. Wine and Dine on 9 is where you enjoy a refreshing glass of high-end varietals from Kendall-Jackson Vineyard Estate and small plates prepared by renowned chef Mathew Medure, while relaxing in garden-like ambiance. Trucks on 10 is the place to enjoy unique eat from some of Jacksonville’s top food truck vendors such as Cely's Filipino Food, Island Girl Seafood, Mama’s Food, and more. Tacos on 12 is where you'll find tacos and more from Jacksonville's favorite Baja Mexicana, TacoLu. You can also bring your own food in a clear, one-gallon plastic bag, with all food items wrapped in clear plastic. But with options like these, who would want to bring their own food? Every year, THE PLAYERS continues the tradition of honoring military men and women. THE PLAYERS puts on a full slate of military appreciation activities and events including pageantry by military personnel, a flyover by the 125th Fighter Wing, Florida Air National Guard, and a performance of the national anthem. The Military Appreciation Ceremony will conclude with a special performance by Platinum-selling country artist Jon Pardi. New this year the Military Appreciation Ceremony will begin at 5:00pm and the concert will be held at 5:30pm on the 17th Hole. The Military Appreciation Ceremony and Concert is also free to any Tuesday ticket holder! Leave your big purse or backpack at home! If your opaque bag is larger than 6x6x6 inches, it is not permissible into THE PLAYERS. You can bring clear bags measuring 12x6x12 inches or smaller, or purchase one at 28 participating Daily’s stores for $5 (which is donated to The First Tee of Northeast Florida). Sunny weather and preppy attire go hand-in-hand, and THE PLAYERS is no exception. This year, be sure to think "GREEN" on Sunday (March 17) as the tournament will end on St. Patrick's Day. Here are some ideas on how to dress to impress courtesy of the PGA Tour. Good news for families: youth 18 and under are admitted to the grounds free of charge, as long as they’re accompanied by one ticketed adult. There isn’t a limit to the number of children you can bring, but remember that parking is an additional charge (see “Four for Free” instructions above). Please note that the tournament’s specialty hospitality venues require children over six to have a ticket for entrance into those areas. For families, THE PLAYERS offers Family Plan tickets, which include two adult stadium passes, unlimited youth admission, and two $10 food vouchers. 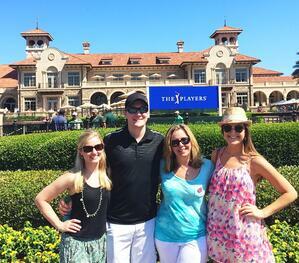 THE PLAYERS is a perfect way for a family to kick off the summer months and spend time together. In order to honor the more than 250,000 service men and women in the Jacksonville area, active duty, reserve, retirees and dependents receive complimentary admission all week (to learn more and obtain a voucher, use this link) and have access to Birdies for the Brave® Patriots’ Outpost, a hospitality tent for military only with complimentary food, beverages and activities. U.S. military veterans can use the same link to obtain discounted tickets. Tuesday: Practice round, Military Appreciation Day. Gates open at 7:30 a.m. Military Appreciation ceremony at 5 p.m., Jon Pardi performs at 5:30 p.m., both take place on the 17th hole. Charity of the day: Five Stare Veterans Center. Wednesday: Practice round, Caddie Competition on the 17th hole, gates open at 7:30 a.m. Charity of the day: The DONNA Foundation. Thursday: Round one, gates open at 7 a.m. Play begins on first and 10th tees at ~ 7:35 a.m. Charity of the day: Wolfson Children's Hospital. Friday: Round two, gates open at 7 a.m. Play begins on first and 10th tees at ~ 7:35 a.m. Charity of the day: Book Trust. Saturday: Round three, gates open at 7:30 a.m. Play begins at~ 8:30 a.m. Charity of the day: St. Vincent's HealthCare Foundation. Sunday: Round four (final round), gates open at 7:30 a.m. Church service at 7 a.m., Stadium Village in The Players Welcome Experience. Play begins at ~ 8:30 a.m. Closing ceremonies after final round begins on the lower lawn of the TPC Clubhouse following conclusion of play. Charity of the day: Feeding Northeast Florida. To learn about new homes available at master-planned Nocatee community, explore nocatee.com or stop by the Nocatee Welcome Center.